When viewing wildlife, you never know what you might see. That is part of the thrill. 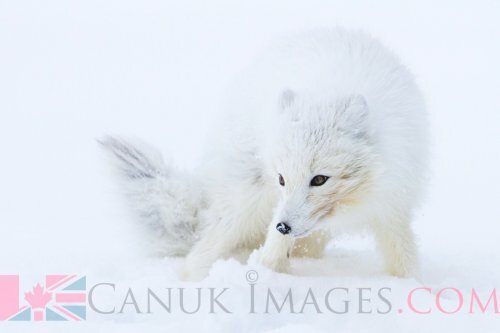 But in 2013 on our Legendary Cape Churchill adventure we saw something that even we didn’t expect; a Red Fox stalked and ate an Arctic Fox. It’s not something any of our team had seen before and it was a shock and a thrill for the numerous photography guests on our Cape Churchill expedition who join us on this trip for exactly this reason - extraordinary wildlife viewing and photography. On that blustery November day while photographing a pair of Arctic Fox that had been in the area we were somewhat surprised when a Red Fox appeared. 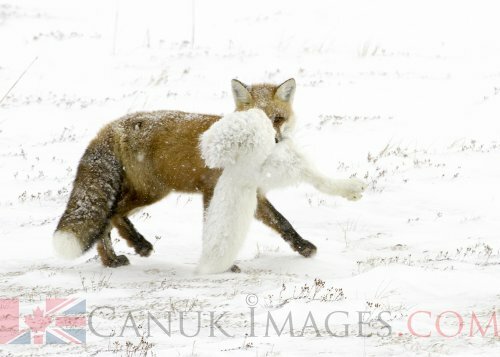 It’s rare to see Red Fox around Cape Churchill. 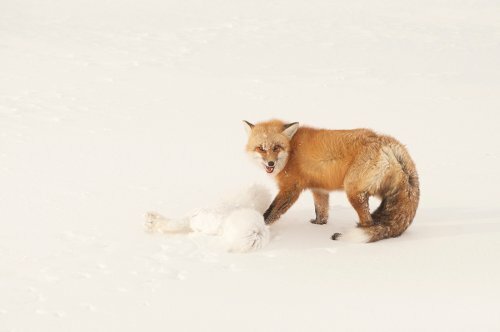 Little did we know at that moment we were about to witness the Red Fox cannibalize the Arctic Fox. Just a few weeks ago, one of the photographers on that trip, Don Gutoski, was named Wildlife Photographer of the Year by the prestigious Natural History Museum in London, UK. Now in its fifty-first year, the Wildlife Photographer of the Year competition provides a showcase for the world’s very best nature photography. The Wildlife Photographer of the Year competition champions ethical photography. Images are chosen for their artistic composition, technical innovation and truthful interpretation of the natural world. Check out Don’s Award Winning Picture. And a couple additional before and after photos of the event captured by Simon Gee of CanUK Images and Buggy Bob Debets. Learn more about our Legendary Cape Churchill Expedition.